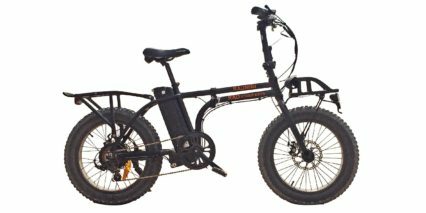 Kenda DOT 7YXW, 17" x 2.5"
The RadBurro is a street legal electric bicycle (meaning it does not require a license or insurance to operate in most states) that offers impressive utility and adaptability for use as a lightweight truck, food storage transporter, or people mover. 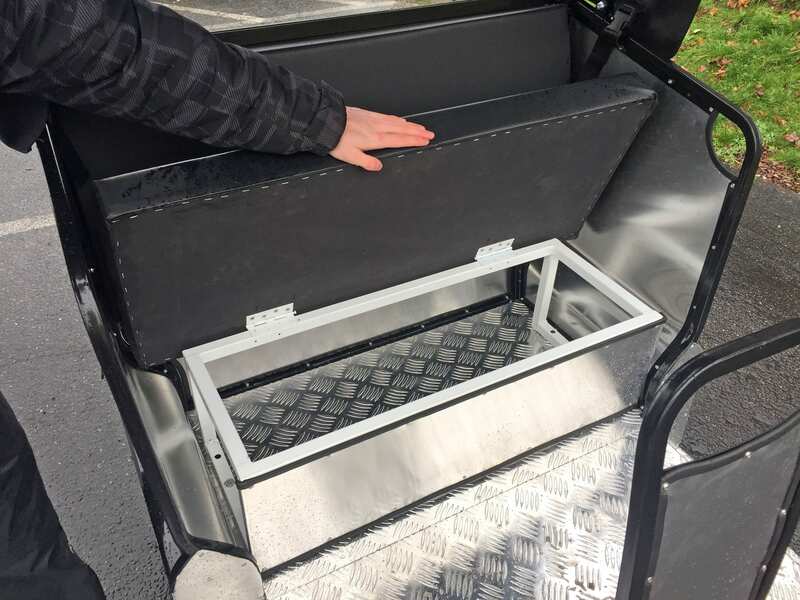 Weighing in at 220 lbs to 260 lbs, depending on the bed option you choose, it’s capable of hauling up to 750 lbs of cargo including the driver. 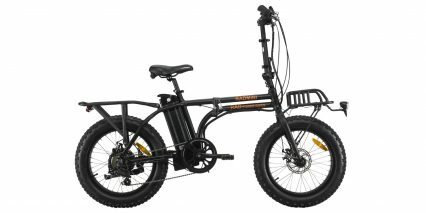 This three-wheeled bicycle is stable, low to the ground (thanks to 17” moped wheels), and feels very tough. 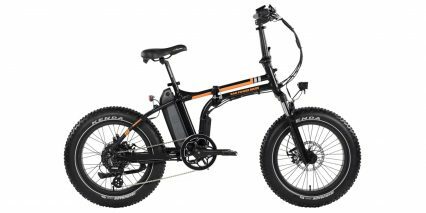 The rims, spokes, suspension fork, and frame are all engineered more like a moped than a bicycle and the 750 watt motor has been geared to provide lots of torque and up to 20 mph top speeds while staying within the Class 2 legal framework. 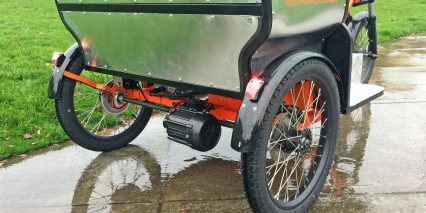 Some of the hardware and design choices that really stood out to me were the seven speed drivetrain, alloy chain guide (to prevent drops and keep pant legs clean), integrated fenders, and integrated LED lights. 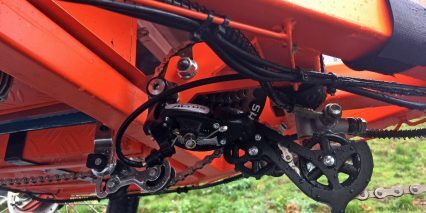 It’s feature complete, meaning it can function in all sorts of conditions and be safe without requiring you to add anything aftermarket, and priced at $5,500+, feels like a bargain. 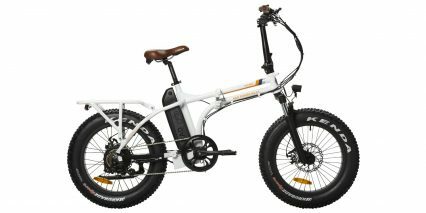 Rad Power Bikes has been expanding into Europe and Canada in 2018 and sells this product, along with all of their traditional models, to commercial entities with a two-item minimum. You still get their year long comprehensive warranty and benefit from a sizable support team. 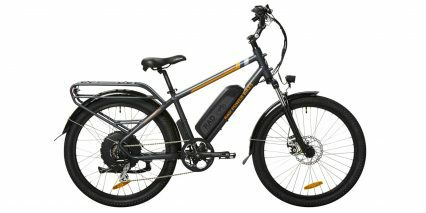 Driving the bike is a canister style 750 watt motor that uses a 10x reduction gear to generate higher torque. 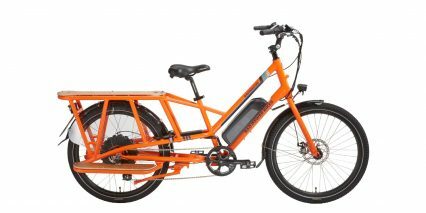 It comes on smooth but feels very capable (I hauled a large load of beverages through Seattle without issue, while filming) and it’s not super loud. The video overview above has a shot towards the end where I actually show the motor in action. 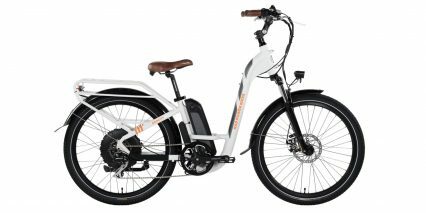 I love that it can be operated through the 12-magnet cadence sensor, so you can pedal to extend range and get a workout, as well as the power-on-demand twist throttle. 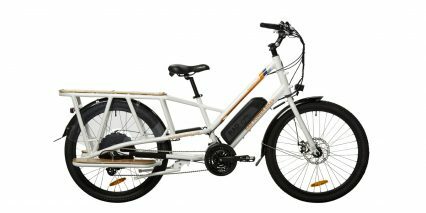 Being able to switch through seven gears feels nice and allows you to hit higher top speeds or get home more efficiently if the battery runs completely out. 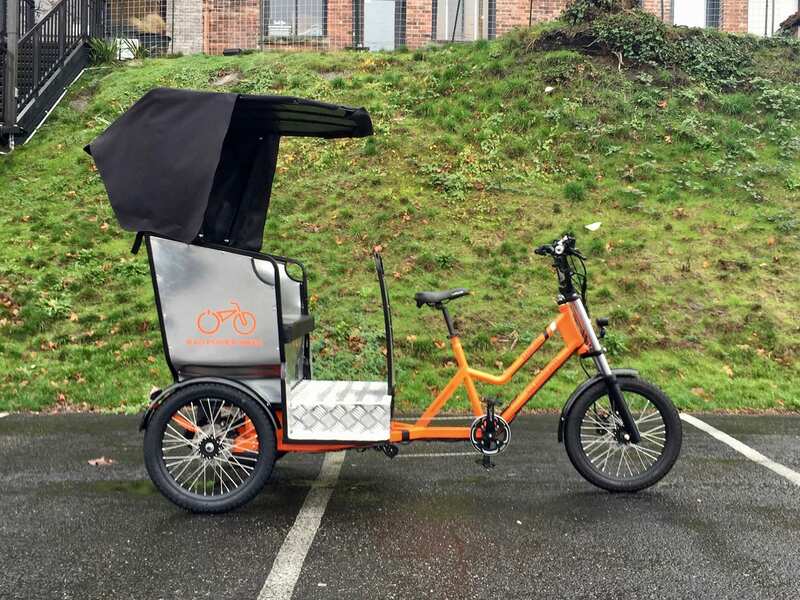 I have seen some pedicabs that only have one gear and the rider has to stand up and really work… and eventually stall out on speed. 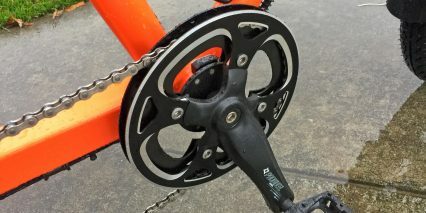 The trade-off is that this drivetrain is a bit more complex and possibly less durable than a single speed, but the Altus derailleur and shorter chain should work alright and the derailleur is easy to reach with the bed tilted up. I absolutely love this tilt feature because it also exposes the controller box, battery box, and would make cleaning the bed much easier. 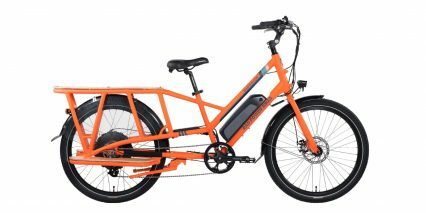 The battery pack on this bike is pretty intense, offering 48 volts and 52.5 amp hours (compared to 11.6 or 14 amp hours on most standard sized ebikes) it can assist from 40 to 80 miles depending on the terrain, cargo load, and rider input. 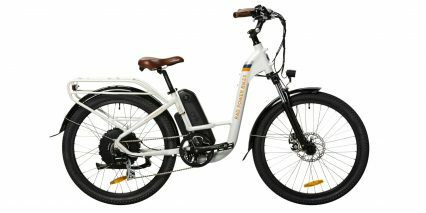 Charging is easy with the onboard 25 amp system (a standard ebike charger is usually 2 to 4 amps) and the built-in retractable cord won’t get lost or broken the way a separated charger might. 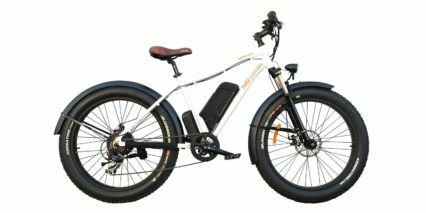 It’s amazing to think that in just 2.5 hours this ebike could be back on the road because I’m used to much smaller batteries taking 4 to 6 hours. 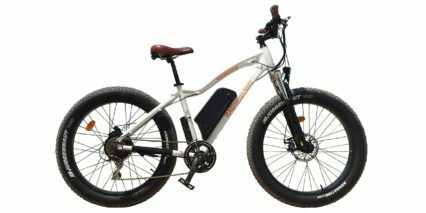 Rad Power Bikes also sells a stand-alone charger, so the battery can be filled when off the bike, and the charger was designed to be able to replace the onboard charger if it were to ever break. And, for those who are really in a hurry, the battery box can be unplugged and swapped out easily for a fresh pack. Unplugging the pack takes a bit of reaching but the ports have spring covers which should keep them from getting damaged or wet, it feels industrial and well thought out. 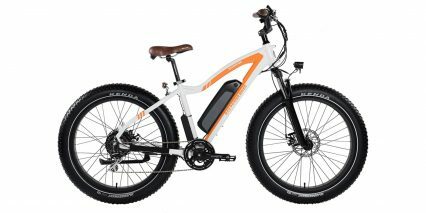 And for the driver, the large battery means that a bright color LCD, integrated lights, and even their own accessories can all be used without any separate accessories or adapters. 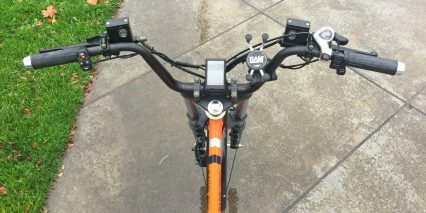 Just below the display panel there’s a USB Type A port which offers 5 Volts at 1 Amp, and RPB sells a handlebar mount phone holder so you could use your phone for GPS. 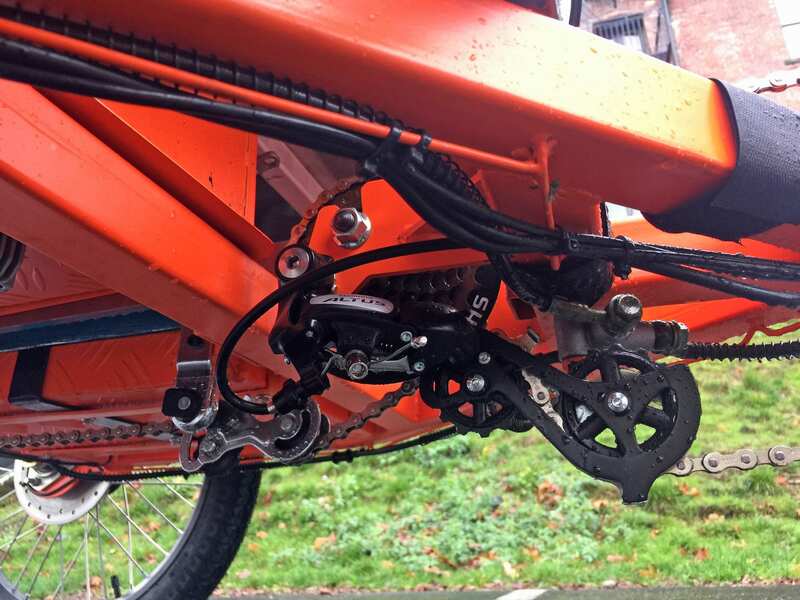 Of course, with great power comes great responsibility and the 180 mm hydraulic disc brakes performed very well. 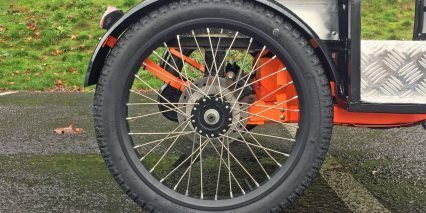 The left lever activates the single front brake while the right activates both rear brakes. 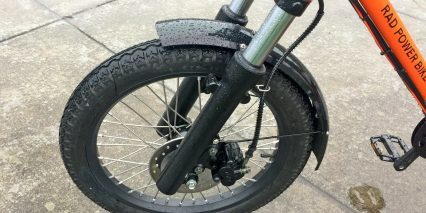 And, because the brakes are hydraulic, they are easier to activate and the two rear brakes apply pressure more evenly. 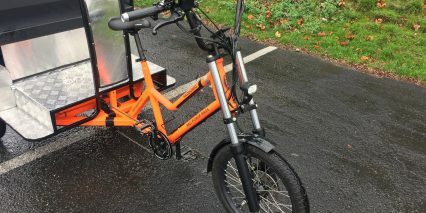 Note the extra long levers which have brake latches to secure the trike when parked. I had to use two hands when locking the bike this way but it stayed put once I did so, even on slanted ground. 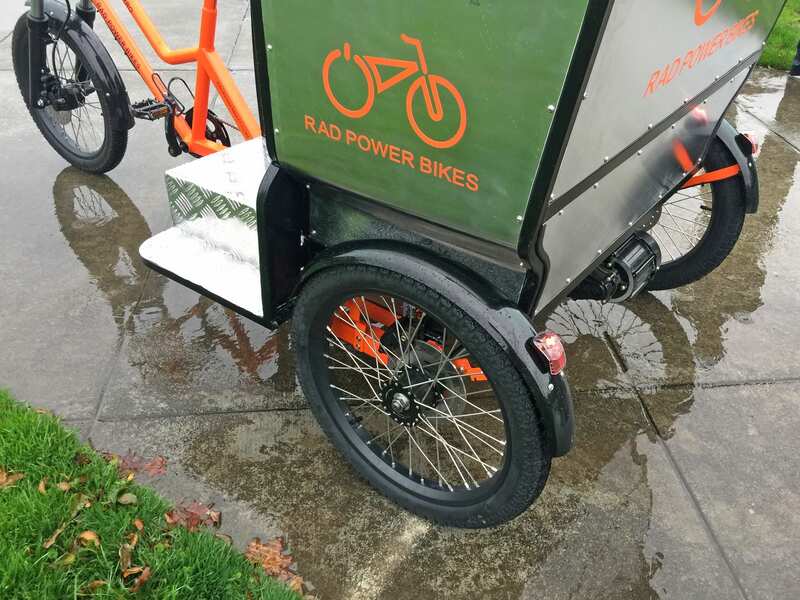 Activating this utility bike is a two-step process. There’s an override breaker switch in the back that must be turned to on before the display can be activated through the control pad up front. This is a good safety measure, which could reduce tampering, but takes some extra time to do. 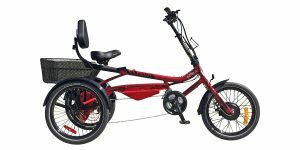 I hopped on a couple of times without remembering to turn the trike on and then had to get off and walk back. Part of me wanted a keyed ignition up front for this first step, just to be more convenient. Once it’s on, the control pad on the left will turn on the lights and activate the left or right turn signals. Press once to turn them on and then again to turn them off. I wouldn’t mind a chirp for the turn signals and frankly, I would like to have brighter rear lights with yellow turn signals vs. the simple blinking action. 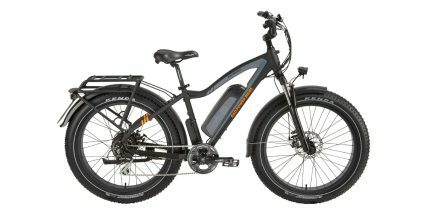 The headlight is aimable and fairly bright, but it’s mounted to the suspension bridge vs. the handlebar or headset, which means it could bounce. It’s also just plastic and seems less industrial than some of the other parts. 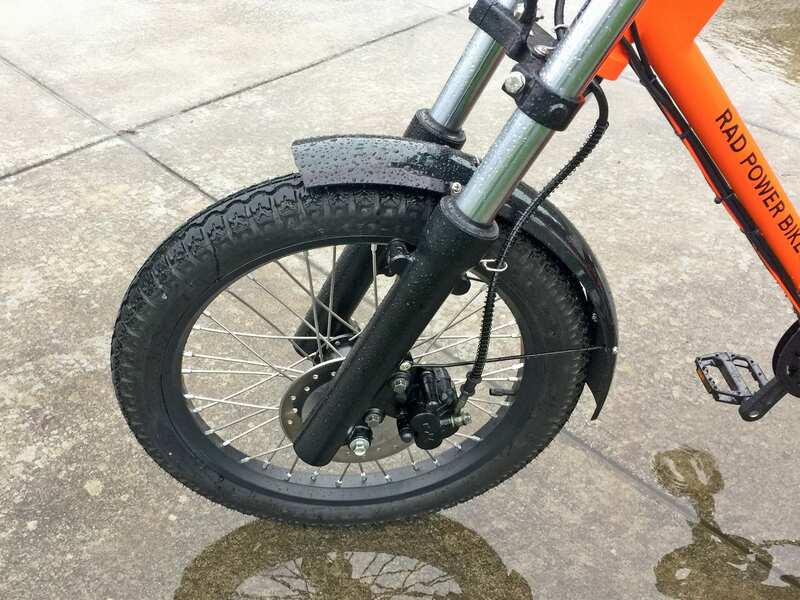 Same thing with the fenders, they offer good coverage but are just plastic (which is probably fine because they will snap back into place if bumped vs. rattle like Aluminum or get scratched and rust like Steel). So the display panel itself can be explored by clicking the up and down buttons on the right side button pad. 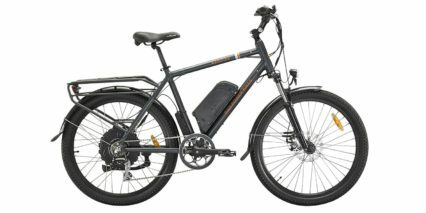 This allows you to go from zero to 1-5 pedal assist for more speed and power. The higher resolution 12-magnet cadence sensor doesn’t measure how hard you push, just that you’re pedaling. 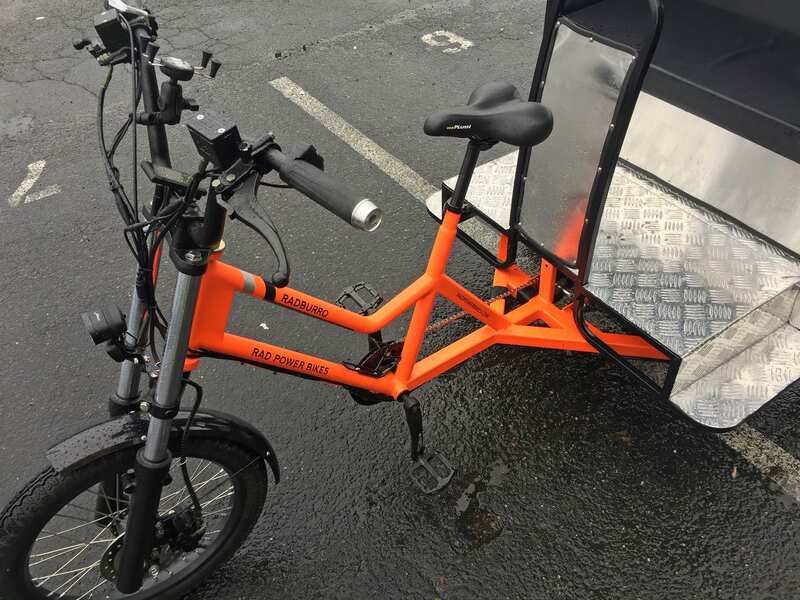 This is nice for such a large and heavy vehicle because it means that the rider can get some exercise but not strain themselves excessively. And both brake levers do have motor inhibitors so you won’t ever be fighting the motor when stopping, even if you keep moving the pedals. Overall, the cockpit is functional and the display is easy to read and navigate, despite being a bit more complex than the other RPB products. The display is not removable but can be angled a bit to reduce glare. 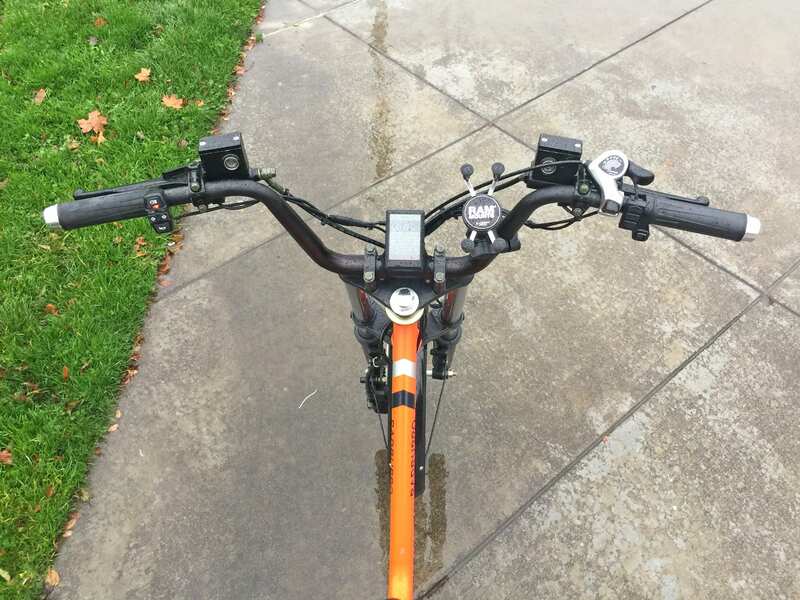 Same thing with the high-rise bars, you can loosen the mount and tip them forward or back to increase or decrease reach and that should make riding more comfortable for tall and short people. 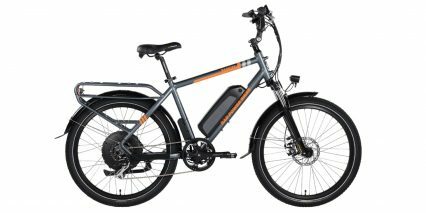 I realize the video review for this ebike was more of an overview than a critique or review but I have done my best to record all of the specs and post-ride insights here. 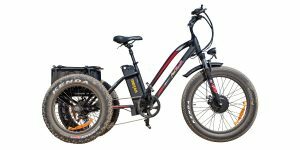 The RadBurro was one of the only utility trikes I have ever ridden and I came away feeling impressed and excited. 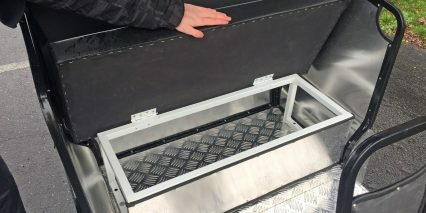 The guys showed me how each attachment bed could be used for different activities like food delivery, cargo hauling, or people moving and it inspired me to think how we might see this sort of thing delivering mail or getting people around congested city neighborhoods more quietly and efficiently in the future. 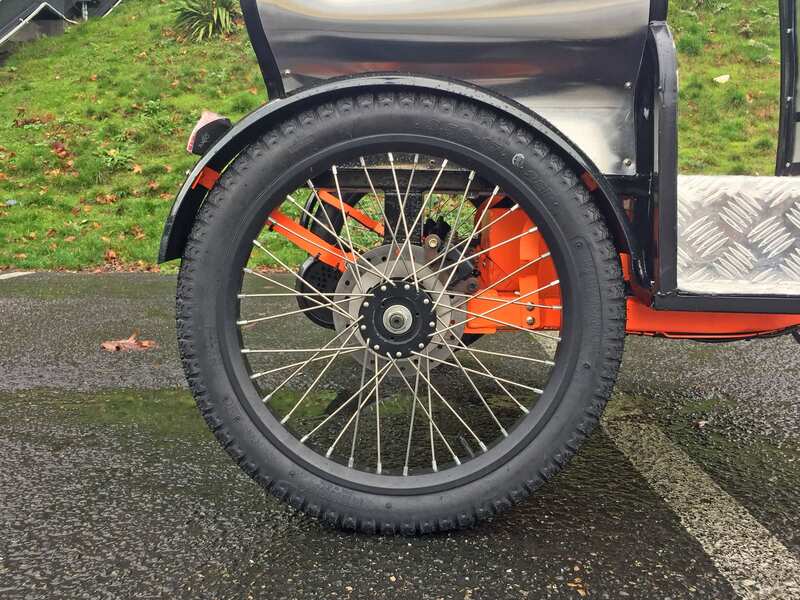 I would probably apply some of my own reflective stickers to the sides and back of this trike if I were planning to use it around cars, and there seems to be a lot of branding potential on the back and sides of the rickshaw, but the orange paint already stands out a bit. 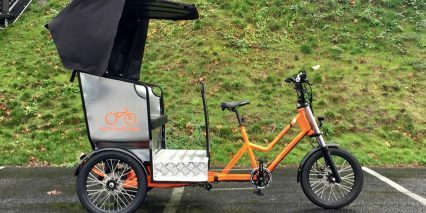 We got a lot of positive attention and interest when riding the bike around Seattle and I felt comfortable pedaling and sitting in the back. 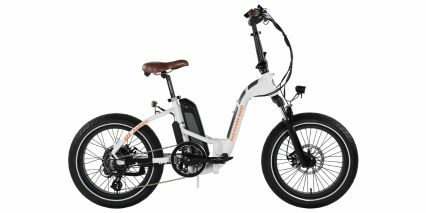 If I were planning to ride long distances, I would probably opt for the suspension seat post component upgrade and as a passenger in the back, it can get a little bumpy when the road isn’t super smooth. 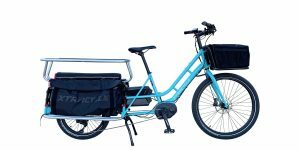 I haven’t ridden in the back of many pedicabs so I cannot say whether it’s better or worse… but the seat is padded on the bottom and back. 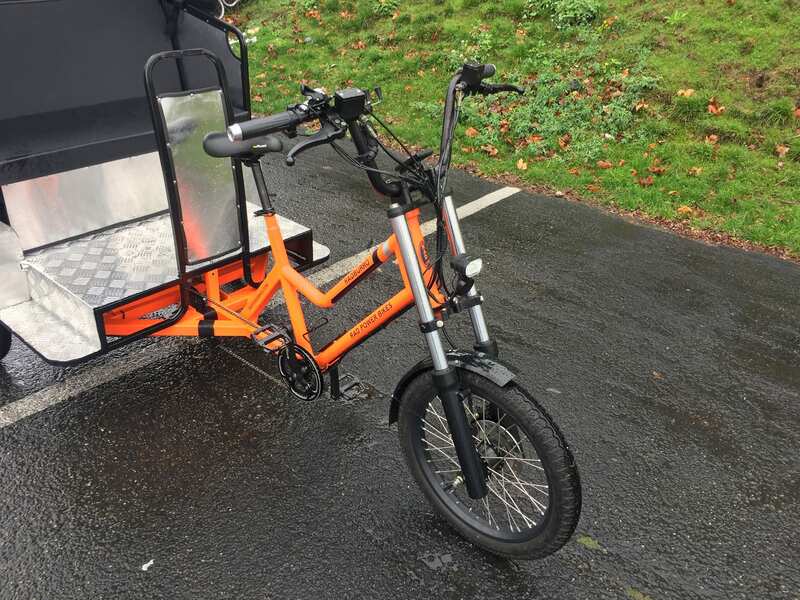 There’s even a cargo box under the seat, so the owner might bring blankets or extra seat pads and a first aid kit or second battery pack in there. It’s a cool product to be sure, something very unique and well thought out. 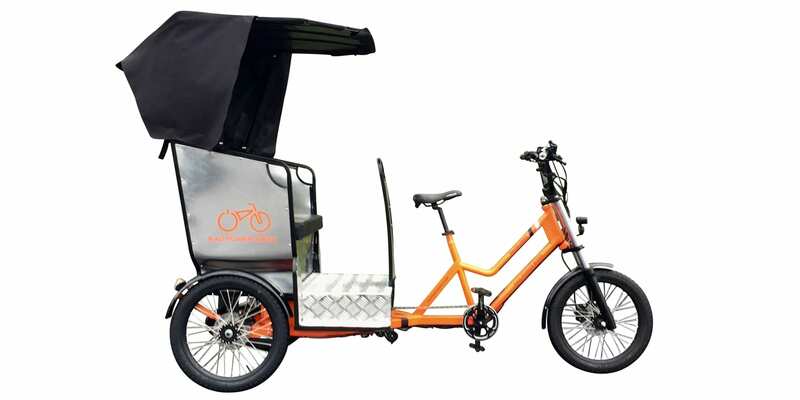 I have seen DIY converted electric pedicabs but to have one this nice, that could double as a truck or food truck, is pretty fantastic. 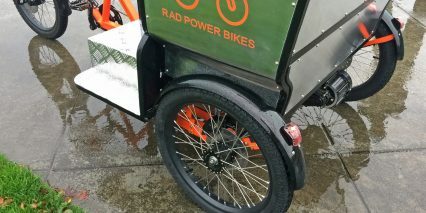 Big thanks to Rad Power Bikes for partnering with me on this post and providing all of the different bed options to explore. I’m sorry we didn’t show the inside of the food box. 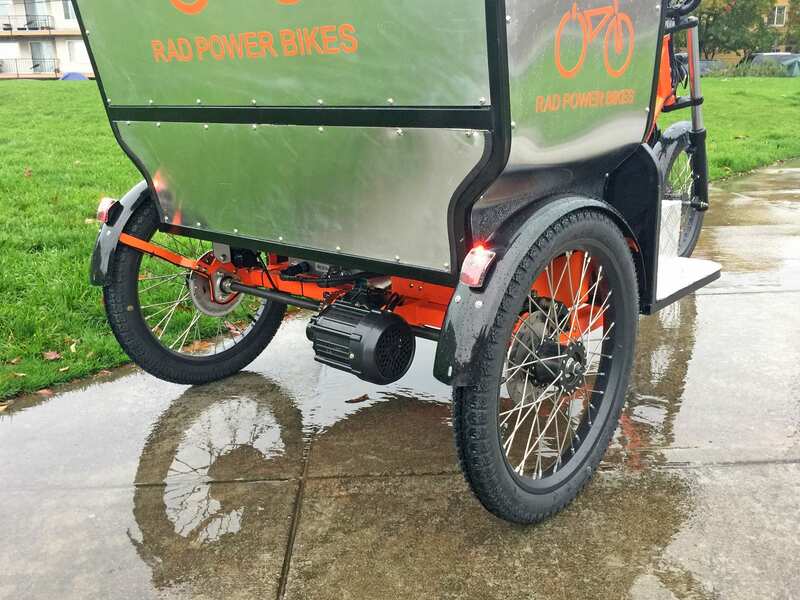 It was neat to see all of their more traditional electric bicycles alongside the RadBurro and to consider how this and the RadWagon might work in unison for large and small cargo/people transport since it works with the Yepp! 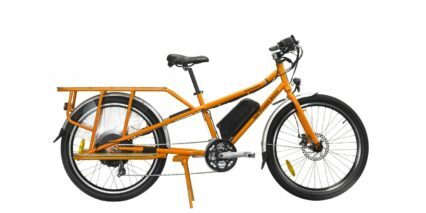 child seats and can be setup with a pad and handle for a second passenger. 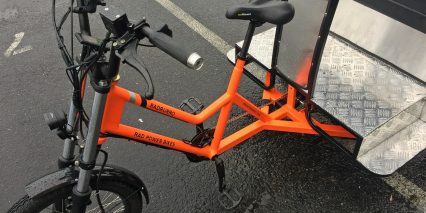 I was super excited to see that they managed to squeeze in a bottle cage mounting point on the downtube so the driver can stay hydrated! This could be my next car IF Rad can come up with an enclosure / rain shield to keep the driver dry. That was my thought too after seeing this. A canopy/enclosure over the driver. I’ve see motos (motor bikes) that have this design. Good to see this company evolving in the right direction. 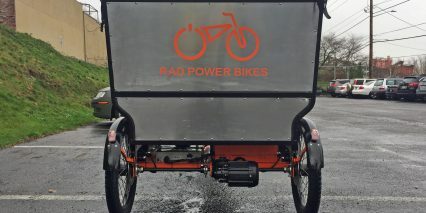 was one of their early customers with RadRover and Radwagon… they are still doing their thing. Court, in the specs listed above you have the width as 34.25″, but in the video Mike mentions it’s about a meter wide (39.37″). You might want to check into that and update as necessary. UPDATE! 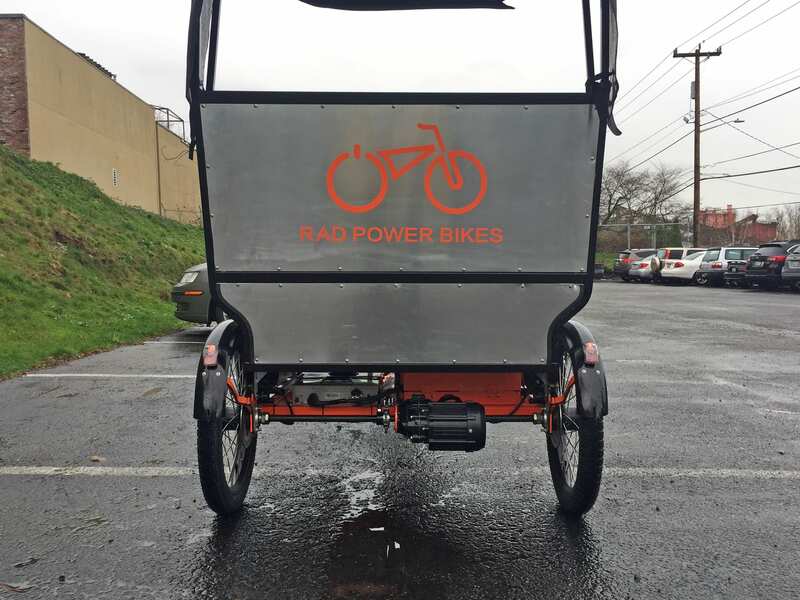 I spoke with the folks at Rad Power Bikes and confirmed that the width is 44.5″ so I apologize for the incorrect shorter measurement. I have updated the specs so nobody else gets confused. I see that the RadBurro is available in the US but not in Canada. Is it possible for a Canadian to purchase it online from your US site and have it shipped to a Canadian address? 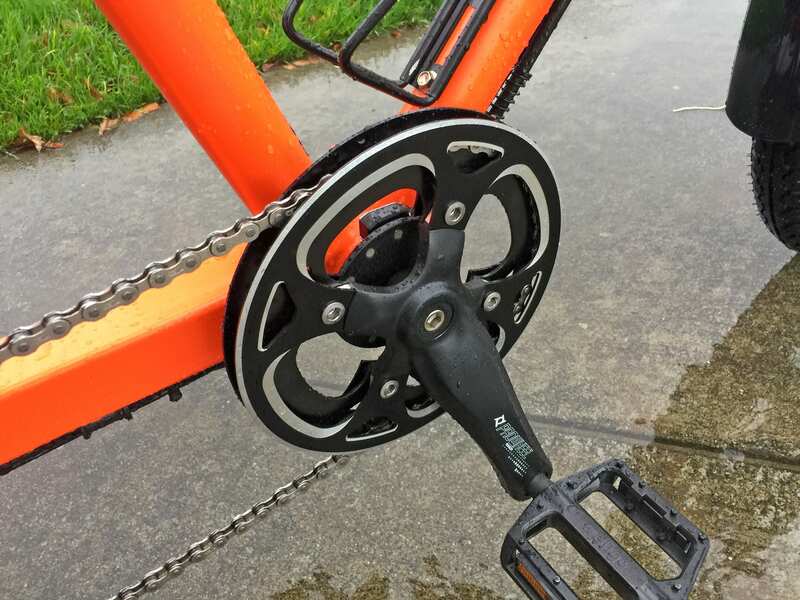 In the detail photo of the rear derailleur, the cable is routed incorrectly (it should pass on the lower side of the clamp bolt) and the housing has a hell of a bend in it. I’m surprised you didn’t have trouble shifting. Hi Jason, good insights! 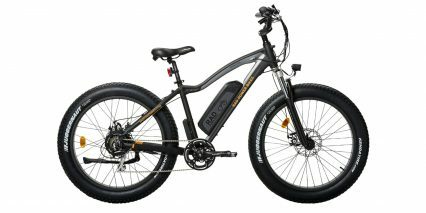 This was the first RadBurro product from RAD but I got to see and test ride their newer one on a recent trip. I think they have worked out some of the small quirks… and the cable routing issue may have been due to urgency or untrained staff last time. They usually bring me out as soon as new products are available because it takes some time to process and post. Perhaps in that instance, the product was so new that there were some assembly mistakes or something. Now that the product is over a year old, I think the experience would be even better. What caught your interest with the RadBurro? Are you thinking about buying one for a business or something? Glad to hear it. 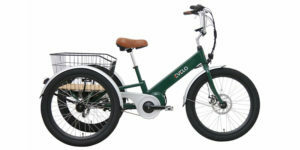 Yes, we’re going to use the Burro for a university compost collection route among other things.